What do we mean by Bowling Green Performance? Bowlers look for certain characteristics in a green and they despair of certain others. Over 37 years of greenkeeping and teaching greenkeepers I have come to notice that bowling green performance comes down to just 3 major characteristics that can be influenced and manipulated almost at will by skilled greenkeepers who have a deep understanding of how the green stuff below their feet actually works. The 3 bowling green performance factors that affect the run of the wood are Green Speed, Green Trueness and Green Smoothness. Possibly the single best understood and simultaneously misunderstood factor in bowling green performance is green speed. Can you gently cajole your wood up the green to nestle against the jack or do you need to hoof it to get it past the middle or anywhere near the jack, just taking your chances as to where it ends up? A fast green helps good players to excel by using their skill and experience to play shots that just wouldn’t work out on a slow surface. However, the pace of the green matters not a jot if the surface isn’t true. 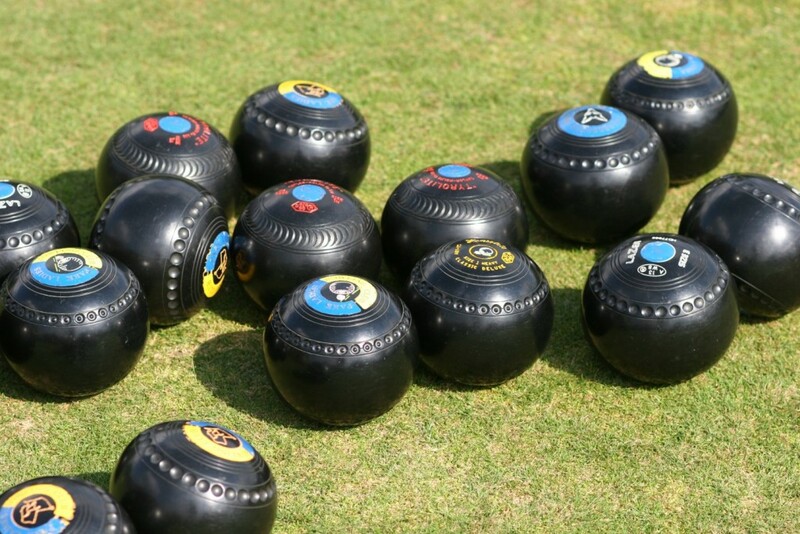 The trueness of a bowling green is often called into question by bowlers. Just when you think you are performing at your highest level of ability all season, you visit a green where you just “can’t find the roads”, or when you do, and your most sweetly delivered shot suddenly swerves off line and stops a meter away from where you thought it should. Green Trueness is a measure of how much horizontal, (side to side) movement of the wood is induced by discrepancies in or on the green surface. Green Smoothness is often noticed when the greenkeeper would rather it wasn’t i.e. when its not smooth enough! Smoothness is the third and last major factor in green performance and is defined by how much vertical deviation (bounce) the wood encounters on its way to the jack. Smoothness can also contribute to the wood going off line or against the draw. Do you want 3 things to worry about or just 1? It seems fanciful that bowling green performance can be boiled down to just these 3 attributes of the turf doesn’t it? Yes, it sounds too easy by far, but the real trick is in knowing how to get the green smooth, true and fast, consistently in the first place and for that you need to concentrate your efforts on just 1 issue and that is thatch. The condition of many bowling greens has deteriorated as a result of conventional, reactive greenkeeping and if that isn’t enough to convince clubs to return to a more natural greenkeeping program, then the potential to reduce the most expensive physical work and treatments should be. The build up of thatch isn’t a natural phenomenon; you won’t see thatch on natural grasslands or even on less intensively managed amenity turf. Thatch builds up simply because there isn’t enough life in the soil to recycle it into humus, where it becomes a key player in the Nitrogen Cycle. Due to the spongy, soft nature of an excessive thatch layer, the energy needed to propel a bowl a set distance is increased significantly. The fibrous mat of thatch actually saps the energy from your shots making it difficult to play with any level of finesse or predictability. It essentially produces a surface that is unfairly inconsistent. It’s a bit like playing on deep pile carpet, but more tricky. Excessive thatch build up has a tendency to dry out unevenly, leaving dips and bumps on the green surface that will cause a bowl to veer off it’s course unexpectedly. The nature of thatch means that even if you could get a handle on this and play accordingly in your match, it will all be different tomorrow. Thatch is continually moving, shrinking and expanding in response to the environmental changes in air temperature, soil temperature and moisture, weather and relative humidity. Thatch is the main cause of complaints about straight hands, bad runs and dodgy rinks. Almost imperceptible dips, hollows, bumps and gullies in the surface which move and change continually with weather and moisture changes are features of excessive thatch. Of course this can cause quite a lot of disruption to your shot as it traverses the rink. In addition to the sapping of speed and deviations in the direction of the shot, thatch causes vertical deviation of the shot due to bumpiness on the green surface. Evaluate your Green using my 3 part step by step guide here. Thatch is caused by the wrong maintenance. You can reduce thatch whilst doing less and spending less. There’s a free eBook on Bowling Green Performance in the welcome email when you join Bowls Central as a free Member. I’m here waiting to help you with any green performance or greenkeeping problem. Just drop me a line anytime. Support is free and unlimited. That’s a “piece of string” question. It will depend to some degree what was there before. Poa annua will tend to die out completely, whilst fescue and to a lesser extent, bent, will recover if the problem hasn’t been too prolonged. Quite often, the first to show up will be moss, as it will take advantage of any space in the sward to get a foothold. This makes it important to measure recovery in terms of how well the soil is re-wetting by sampling regularly, rather than re-greening as this can take a while. Some overseeding or plugging out will usually be required.